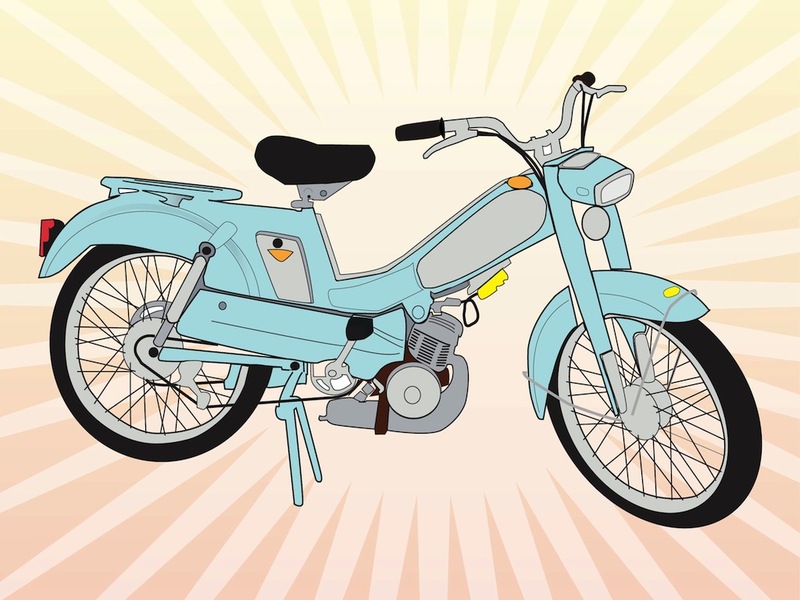 Vector graphics of a retro motorbike. Cartoon style illustration of the vehicle. Detailed components of the vintage motorbike. Transportation vector to use for stickers, catalogs, T-shirt prints, logos, comic books and cartoons. Free vector for all vehicles, modes of transportation and traffic designs. Tags: Bike, Lambretta, Motorbike, Retro, Transport, Vehicle, Vespa.